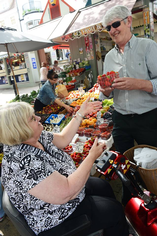 Norwich Shopmobility is a scheme which offers the loan of scooters, electric and manual wheelchairs and walking aids to people who have mobility difficulties in order to make the City Centre more accessible. Vehicles can be used anywhere within the city centre. Parking at Chapelfield Mall is on Level -1 next to Shopmobility. 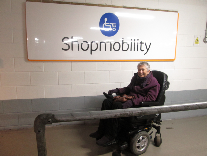 For further details please ring the Chapelfield Shopmobility. Telephone 01603-753350 during opening hours. Membership costs £10 / year and entitles you to borrow a vehicle. You get 4 hours free car parking. To register for membership please bring 2 means of identification. Loan charges are £6 each time you take a vehicle out.